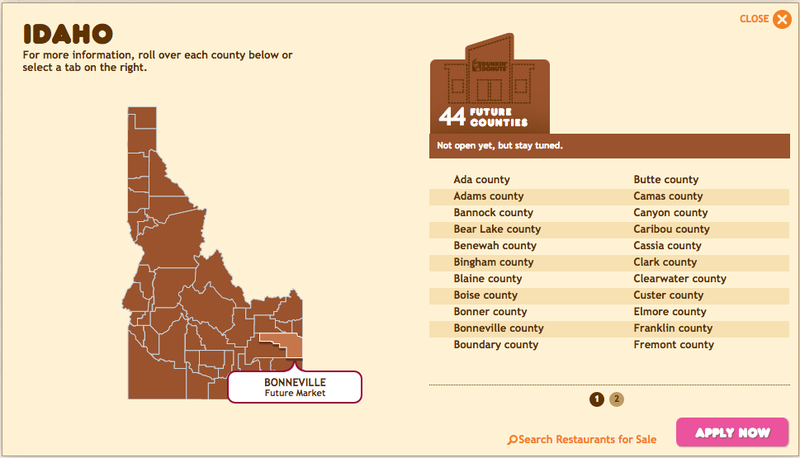 I've been told by a source I trust that it's only a matter of time before Dunkin' Donuts comes to the Idaho Falls area, but it's been a waiting game. The Quincy, Mass.-based chain has 10 stores open in the Salt Lake City-Ogden area, but none in Idaho so far. Conventional wisdom would lead one to think that Boise is where the first one will go, but who knows? The reason I am writing about this is this article that ran Tuesday in Business Insider: Dunkin' Donuts is Expanding Like Crazy. Rest assured that I have my sources and will be keeping on top of this one. bring me dunkin!!! Any updates?